Balian Beach, one of the beach in Tabanan . Located in Lalanglinggah Village, West Selemadeg District and a paradise for surfers . The beach is located in the west of Tabanan this with high waves , making it a favorite place for tourists hobbyist surf . Located on the main roads that connect between Jembrana and Denpasar . Balian beach can be reached with a distance of 60 km or about 2 hours drive from Ngurah Rai Airport in Denpasar , or 84 km from the port of Gilimanuk , Jembrana . If you come from Ngurah Rai Airport , you can continue the journey by motorbike or car that you can rent in the rental vehicle . There are so many places - places that provide rental vehicles around the area of ​​Ngurah Rai Airport . 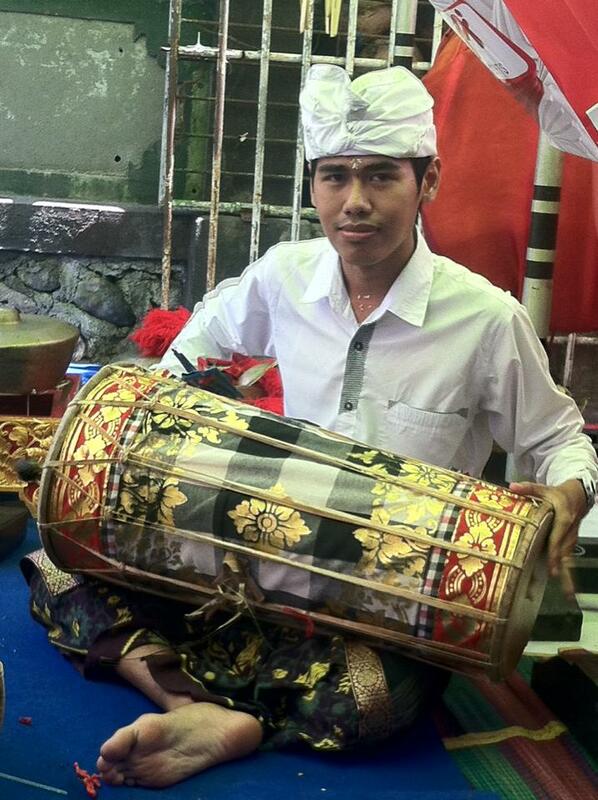 Prices rent a car or motorcycle rental in Bali is very affordable , ranging from 50-175 thousand . Because of its location is very strategic , making beautiful beach in Tabanan is visited by many foreign and domestic tourists . 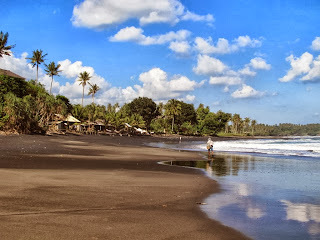 Which has a black sand beach has a very beautiful panorama . Its waves are not too high and not absolute rupture is a major attraction for Balian beach , so do not be surprised if almost every day Balian beach is always crowded visited by surfers who want to feel the sensation of driving on the surf beach in Tabanan . Many foreign tourists who said if Balian Beach is a paradise for surfers . If you want to go to the beach area , we have to spend Rp 5,000 , - for cars and Rp 2,000 , - for motorcycles . On the way to the beach , we will see a lot of lodging - accommodation for rent . The price charged for renting a room ranges between 100-125 thousand / night . In addition to lodging , in the vicinity of this beach there are also many places - a kind dining bar that provides a wide range of different foods and drinks . The mainstay in every bar usually is seafood like grilled fish , grilled squid and grilled crab . Most tourists who visit Balian Beach are foreigners (foreign citizens). If we are down the shore as a whole we can see the cliffs - towering rock cliffs like a huge wall. 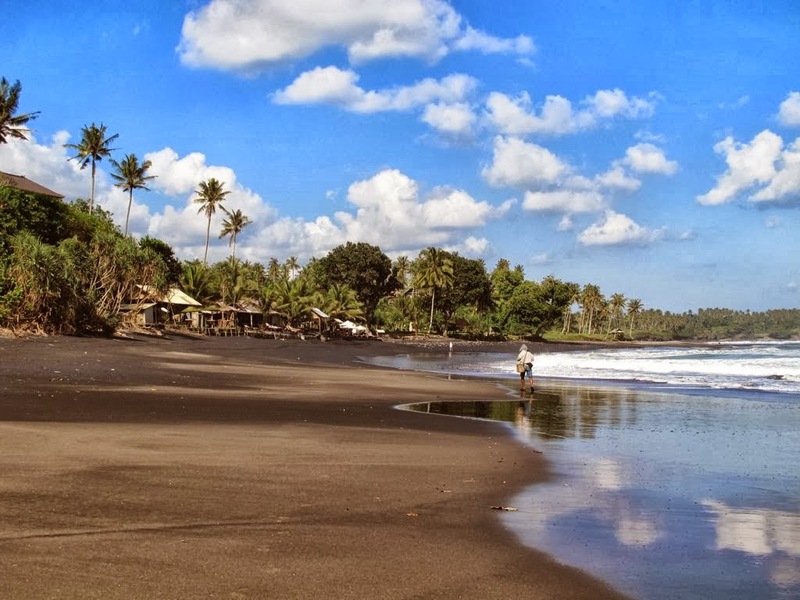 The most appropriate time when Balian Beach is visited in the afternoon , you will see a panoramic view of the sunset with birds flying back to their nests . By from because it is , do not forget your camera to capture the scene - one of the exciting events on the beach in Tabanan . The next night we can see the stalls - small stalls on the beach will be crowded met by the tourist who held a party . They will benrnyanyi all night while drinking beer they buy . We can also participate in the party , just enough to pay Rp 50.000 , - we can enjoy dishes - seafood until satisfied . Attractions closest to this is Balian Beach and Agro Soka Beach Gardens Thanks to Dragon Fruit Barn . Dragons in the Orchard Barn Thanks to this we may taste the fresh dragon fruit is rich in vitamins . Are you interested in visiting one of the beaches in Tabanan this ? So do not miss your holiday in Bali without visiting this beautiful beach . Happy holidays .